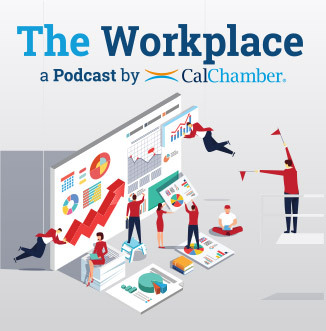 As the constant buzz about Dynamex continues around the State Capitol, we repeatedly hear about how employees can have the same flexible work schedules enjoyed by independent contractors – it is simply up to the employer. That last part is the key. Recently, there has been debate about predictive scheduling. If you want to see an anti-flexibility law, this is the one. Predictive scheduling laws generally require employers to provide employees a minimum amount of notice for their work schedule and any changes to an employee’s scheduled shift. And, if the employer changes an employee’s schedule within a certain time frame (commonly 7 days prior) the employer must pay that employee a penalty (commonly 1-4 hours of pay). While this is great in theory for those who need to know their schedules ahead of time and never stray from that schedule, it is horrible for those that have last minute obligations and need to request scheduling changes that will impact other employees and cannot find someone with whom to swap a shift. Even if the employer is willing to accommodate a schedule change request and pay the extra hours of work, the employer is opening themselves up to massive liability by trying to do a simple favor for the employee. Another example…and my personal favorite…the alternative workweek. 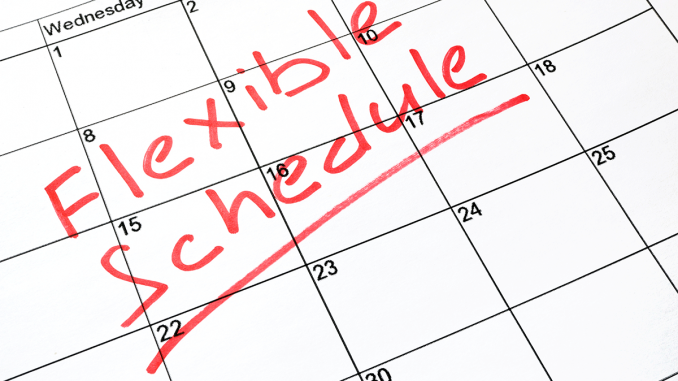 Sounds great in theory – the employer can provide employees more flexibility by allowing them to choose an alternative schedule (e.g., work 4 days for 10 hours rather than 5 days for 8 hours). However, in addition to the multi-step process full of notices, voting and filings with the state, the entire work unit must agree to adopt an alternative workweek schedule. Thus, alternative workweek schedules do not provide flexibility on an individualized basis and are not even meant for a handful of employees within a department who want flexibility; instead, these schedules are based on the wants and needs of the entire work unit. How’s that for flexibility? Under California law, employees are NOT allowed to skip their meal breaks in order to leave work early. Only employees who work between 5 and 6 hours a day can choose to waive their meal periods by mutual consent of the employer and employee. However, there is not a similar alternative for employees who work a traditional 8-hour day, even if the employee and the employer mutually agree that the employee can take an on-duty meal break. So, what if an hourly employee wants to leave 30 minutes early in order to pick their kid up from school and requests to skip their meal period to do so? Nope, not allowed to by law…plain and simple. Now let’s look at makeup time. . . makeup time allows employees to request time off for personal obligations and make up the missed time without triggering overtime. So, if an employee needs to take off 3 hours for a personal obligation, can they? Well, kind of… the employee can take the time off, but allowing an employee to make that time up without significant costs is a little trickier. I won’t bore you with the details here. However, the most difficult requirement for employees to meet is that the missed time must be made up in the same workweek. That requirement creates additional problems, such as, what if a last-minute personal obligation arises on a Friday and the employee’s normal workweek is Monday through Friday, or what if the employee simply cannot work longer hours that week, but can the next week? Again, the employee simply cannot utilize the makeup time provision even if the employer would happily allow it. Conversely, independent contractors set their own hours, their own pay, and decide when and where they want to work. This is where true flexibility and opportunity meet. In fact, overwhelmingly between 80-90 percent of independent contractors from across every industry prefer it over traditional employment. One of the top reasons continually cited is the need for flexibility. This has been verified by studies conducted by the U.S. Bureau of Labor Statistics, Beacon Economics, and a survey of California independent contractors. However, there are still those that want to force independent contractors into a traditional employment model, driving millions of Californians away from the model of flexibility they need for their lifestyles.